Controlling the ouch factor of dancing on your toes is right up there with finding shoes that fit and look aesthetically beautiful. 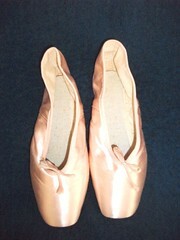 Dancers are always padding and wooling, taping and gel-tubing their hurting toes from the friction and impact of pointe work. At the end of the day, a dance student never knows what she will find when she peels off her shoes; a blister, a bunion, a bruise, or all three. 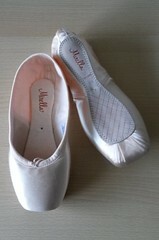 What if someone could invent a pointe shoe that is 100% pain-free? It’s a challenging task when you consider it. In one of my earlier posts, I was stunned and intrigued by the concept design of the Nike Arc Angel. Because my heart belongs to the traditional in ballet, these futuristic designs are head-shakers. Enter another shocker; the Finch No-Pain prototype. Dear Pavlova, Perhaps it’s best you aren’t around to see this. So, how do we make dancing on our toes completely painless? 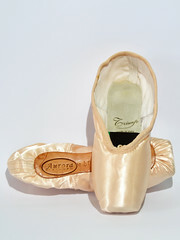 We create a pointe shoe that doesn’t allow any of our weight to go to the toe box. Eureka! However, as you can see by this photo, it takes major mechanical engineering to create moving parts from rigid material. The general premise here is a pointe shoe that has a stiff structure like a ski boot and has a “ledge” under the heel bone to hold you up. Few of us have feet shaped like an upside-down L that can rest on a ledge. Movement causes slippage downward, hence weight to the toes. 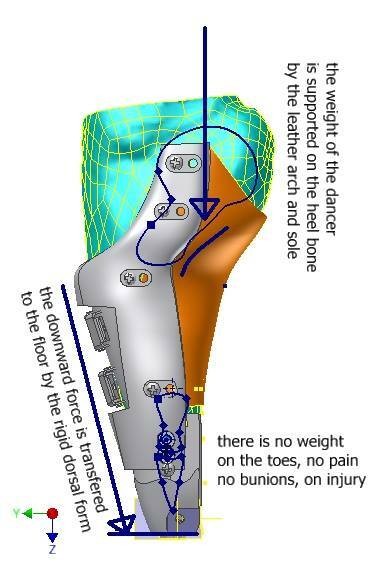 The brain of a dancer will have to be rewired to use her heels as a reference during turns on stage. Feet with low arches will have to lean back for support. The swans in Swan Lake will fall backwards. Flexibility is a must. Bolts and hinges inside of a pointe shoe is a scary idea. Will they need oiling? It appears that this pointe shoe idea was made public in 2011. The shoes were called Cat A Tac and featured as a computerized design on Catatac.net. 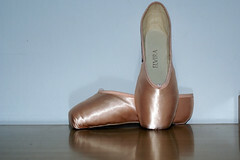 From the home page, it links to Finch-no-pain-pointe-shoes.com. It is now approximately 5 years later. 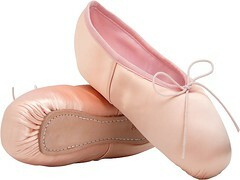 The idea was thoughtful in purpose; let’s invent a shoe to give those poor ballet tootsies a break. Should ballet be painless? Isn’t part of the sacrifice and discipline of dance training to earn a few blisters or bruises? As much as it can be painful, professionals do everything they can to put as little between their toes and the floor as possible. For many, gnarled toes are a right of passage, a sign of a long and beautiful career as a dancer. 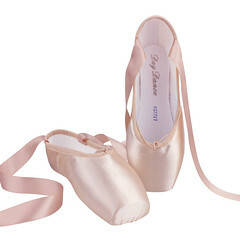 I am not sure if we should be trying to tame pointe shoes into behaving like comfy bedroom slippers. What do you think? This entry was posted in Concept Design Pointe Shoes and tagged Catatac-Finch pointe shoes, concept design pointe shoes, Dennis Finch prototype pointe shoes. Bookmark the permalink. Gaynor’s are super comfy!! 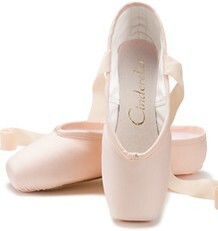 Pointes need to enhance the look of the foot and allow the dancer to dance freely. No one expects ballet to be painless! There’s a lot of performance shoe tech out there. Shoes that protect the feet, absorb shock, and FIT should be commonplace.